I am currently in college, and have always loved to sing, so I have begun taking voice lessons. I have now completed my first semester, and have grown so much. I am very pleased. My only concern is, I am being trained as a classical singer, and my ambition is to be something more of a pop singer.So my question is: by being trained classically, could I be hindering my ability to sound more modern and sing popular songs… and if not, how do I bridge the gap and sing current songs with proper/classical technique? When it comes to your question, I don’t believe taking classical voice is necessarily a bad thing. I took classical for years, and learned some from it. The only issue to me is whether or not the teacher can help you accomplish YOUR real goals. If you goal is to learn more about how your voice works, then great. Learn away! Often times a classical teacher can provide some valuable advice on vocal technique. The only issue is, if they only teach classical voice, then their ability to help you becomes less direct after that. I always heard if you can sing classical music, you can sing anything. Thing is, when I was in college, I had a handful of friends in the music department with me that sounded horrible when we went out to sing karaoke. So, I guess my opinion on this is that while learning classical technique can be a good foundation, if you really want to get super good at singing popular music, you’re going to have to branch off at some point. Your classical teacher is more likely to cringe when they hear the heavy vocal fry used by The Fray, or the high larynxed, soulful sound of Gavin Degraw, or a breathy tone like John Mayer. If they don’t want to listen to this, then how could they dissect what they’re doing and show you how to safely add these stylistic elements into your bag of tricks as a vocalist? While a classical teacher can often show you some great things in the vocal technique department, they will likely not be able to provide an aspiring pop-music vocalist with all the tools they need to create a unique, marketable voice. But hey, stick around until you feel like you’ve gotten all you can from them, then move on to someone that can assist you more with your specific needs (these people get harder to find as you get better and better, but they’re out there). I hope this helps, and best of luck to you on your vocal journey. Keep up the good work! 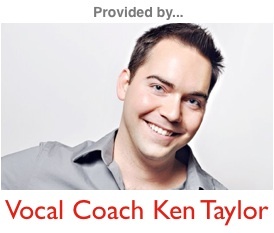 ps – I’m actually planning on starting a new series dedicated to dissecting different popular singer’s vocal styles. It’ll either be on my Singing Tips Blog, or on a new site that I’m hoping to launch at the beginning of the year. I’ll announce it on my Facebook Page when I publish it. So if you’re not already a member, “Like” my Facebook page and be on the look out for that announcement in the next month or so.